Want more (better) Suicide Squad? So I finally went to see Suicide Squad on Monday, and while I liked the characters a lot, the movie had some problems (as you may have heard haha). Though I haven’t read a lot of their comics, I’ve been a fan of DC since I started watching the DC Animated Universe (DCAU) cartoons like The New Batman/Superman Adventures back in the 90s. So whether you loved the movie and want more, or just want something to wash the taste out of your mouth, here are some recommendations for further viewing of the Suicide Squad and its members. You may have heard that Harley was originally created for Batman: The Animated Series by Dini and Timm; I’ve been a fan ever since. Margot Robbie absolutely nailed the role in the current movie! However, the relationship between Harley and the Joker was not portrayed as well. If you want to see how it should be done, check out my all-time favorite episode of The New Batman Adventures, based on the award-winning comic of the same name. Croc was rather wasted in this film (plus he looked like he had smallpox ewww), but he also gets time to shine in Batman: The Animated Series. He’s got several good episodes including one explaining his origins, but my favorite is where a group of villains tell tales of how they almost defeated Batman. 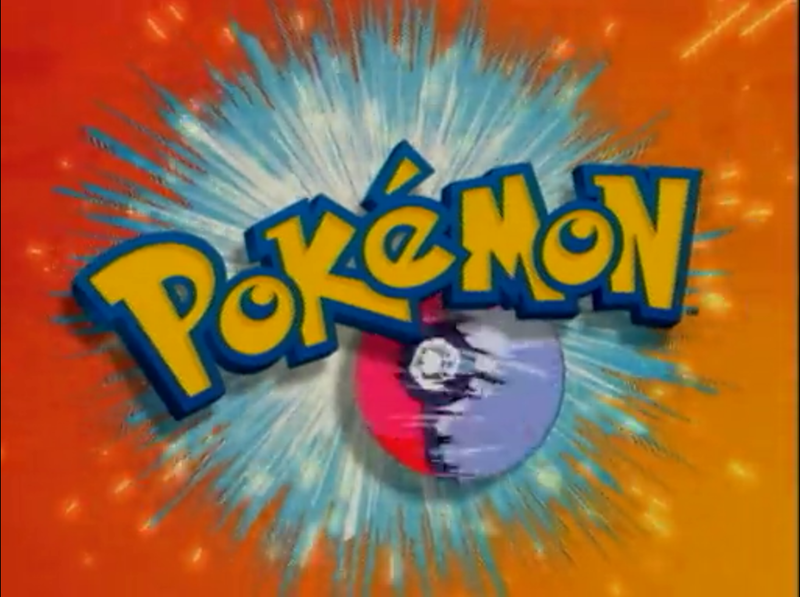 “I threw a rock at ‘im!” But maybe that’s not a fair representation…stick around for the twist at the end. Another wasted character in the film–I didn’t find him particularly funny, endearing, useful, or really anything except meh. But this Flash villain can be so much more entertaining when teamed up with others from that Rogues Gallery, as in this fun episode. Plus, who doesn’t enjoy Mark Hamill as the Trickster? 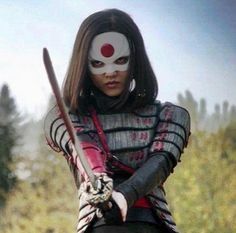 I was probably most disappointed with Katana’s character development in Suicide Squad, because there really wasn’t any. I loved the inclusion of her character on Arrow, and they had to ditch her character on that show for this?? She’s introduced early in the 3rd season as Tatsu Yamashiro, but because I didn’t know the character’s “real” name, I didn’t realize it was her until she dons her trademark attire at the end of the season. The Wall, as she’s known, was another highlight of the movie; I hope to see more of her in the future DC movies. I really enjoyed the mid-credits scene, because I loved seeing her face off with Batman, just like in Justice League Unlimited. In that show, the first time she meets Batman, she snidely refers to him only as “rich boy.” He retaliates by breaking into her house to hand her a towel as she’s getting out of the shower. Viola Davis did a wonderful job in the movie, but to me Waller will always be C.C.H. Pounder. Honestly, this character was new to me, but he completely stole the show. 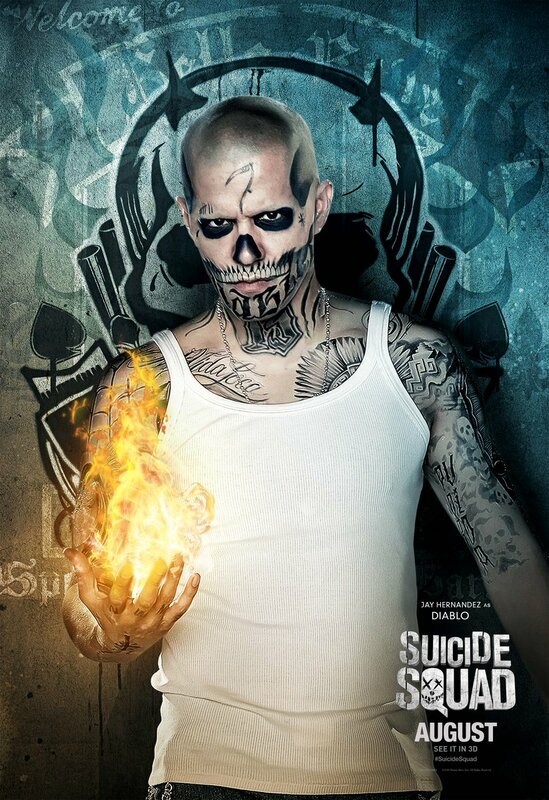 After the movie I said to my husband, “Well, that was a great El Diablo movie, but it was about 80 min too long and for some reason called Suicide Squad.” He even got some great lines, like “Ya te chingaste, güey” haha. Anyone have any recommendations for more of him? We meet our convicts of the squad at the New Orleans prison called Belle Reve (“sweet dreams” in French) under pretty crappy conditions. No wonder our team wants out. Belle Reve is typically shown as a prison for metahuman criminals. It features in a great episode of Young Justice, where Miss Martian and Superboy go undercover to help stop a prison break–Amanda Waller shows up as the warden with Hugo Strange as the prison psychologist. 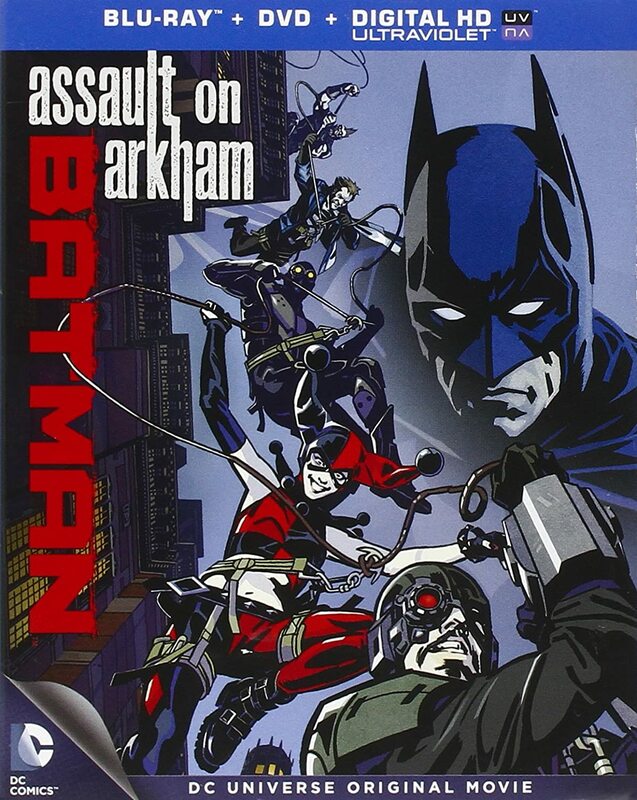 But if you want to see another possibility of what the Suicide Squad movie could have been, try Batman: Assault on Arkham. It takes place in the same world as the recent video games, and is done in the currently popular Korean animation style (that I personally like). It has a killer cast of voice actors, develops the characters pretty well, and has some good twists. Once Upon a Time (ABC): Honestly, I was planning on dropping this show at the end of last season. But then they teased Frozen and it sucked me right back in. Darn you, Disney! I really do like the show’s characters, but the writing and plots just seem to have no focus. Hopefully the addition of Elsa (Fringe‘s Georgina Haig) and OUAT in Wonderland‘s Will Scarlet/Knave of Hearts will breathe some life back into this series. Agents of SHIELD (ABC): Have the first 2 episodes of this season on my DVR unwatched, but I am very eager to see where this show goes after last season got so good following the SHIELD/HYDRA reveal from Winter Soldier. Even Skye got tolerable! Also, I might be the only person on the planet that thinks Ward is redeemable. Arrow (CW): One of the best live-action superhero TV shows ever made. Oliver continues to build Team Arrow; I can’t wait to see Roy in his official Red Arrow/Arsenal get-up! I am not really an Olicity shipper, because I think Felicity is too good for Oliver, but I am interested to see where their relationship is going. I also have high hopes for Ra’s al Ghul, a favorite of mine, as the season’s antagonist. The Flash (CW): Spinning off of Arrow, this show could be as great if they can manage a lighter tone and keep the special effects decent. I loved Barry Allen in his guest appearance last season on Arrow, so I’m hoping the show will be a good addition to the DC TV-verse. Gotham (FOX): If you want a Batman show, watch Arrow. If you want a gritty drama about corrupt cops with slightly cheesy dialogue and heavy-handed Batman references, Gotham is your show. Ok, that’s a little snarky. I liked the pilot enough to give it a couple more episodes. But this is one of the shows I’m most concerned about quality-wise. Constantine (NBC): Another comic book property comes to TV. I’ve never read it, but John Constantine gives me kind of a Harry Dresden vibe: smartass “grey” magician mixed up with the darker side of the supernatural. So that’s got me interested enough to give this show a try. It doesn’t premiere until Oct 24, so I’ll let you know how it is. Star Wars Rebels (Disney XD): Watched the pilot over the weekend and I’m feeling hopeful. After we got through the terrible “Aladdin” opening scene, things got much better. I LOVE Hera, and Sabine is pretty cool so far, too. I think some of the voice acting and animation could be better, and I’m still not sold on Ezra. My favorite part of the episode was Agent Kallus kicking the stormtrooper in the head to knock him off the support beam. Legend of Korra (Nick.com): Season 4 is now online-only, which I hate. Season 3 ended on a really strong note, so I hope they keep the momentum going. The first episode jumped us a couple of years into the future, and Korra’s no longer the fiery, brash teenager she started as. In fact, she seems pretty lost. With trouble brewing in the rubble of the Earth kingdom, will Korra find her way back to spiritual balance? Or does this new world even need an Avatar? Sailor Moon Crystal (Hulu): A reboot of the Sailor Moon anime, hewing closer to the manga (which I’ve read). Episodes are coming out twice a month. I’ve only watched the first episode, but I really liked the look and feel of it so I’m excited to continue. I’ve only seen bits and pieces of the original anime (and the English dub was heavily edited anyway), so I really feel like this could be “my” Sailor Moon.